Here in Arkansas, we love ourselves a good cinnamon roll, and thankfully, we have plenty of great options. 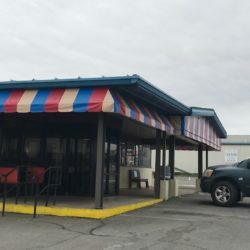 Ever had the one at Ferguson’s in St. Joe? 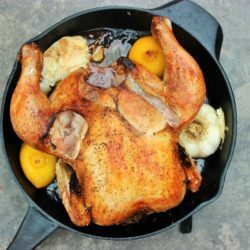 How about PattiCake’s in Conway? Or Wild Sweet William’s in Searcy? Well, add Will’s Cinnamon Shop to the list, and like the places mentioned above, they don’t stop at just baking fantastic cinnamon rolls. 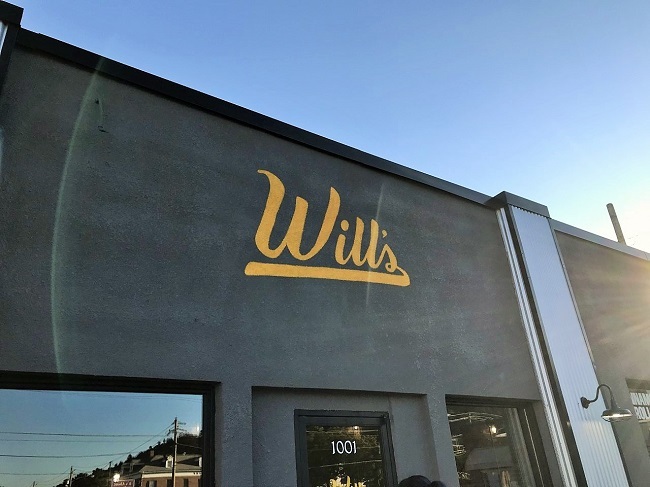 For those unfamiliar with Will’s, the shop recently celebrated its first anniversary as a brick-and-mortar store in downtown Hot Springs, but actually started in the home of William and Katie Byrd in late 2016. The Byrds converted half of their garage to a kitchen, but with demand high, the husband and wife duo knew a physical location was the only way to keep up with the orders. A storefront was the answer. Fast forward to present day. Take one step inside Will’s Cinnamon Shop, and you’ll fall in love with its cozy, inviting atmosphere. “We both helped to design the space. We wanted to create a place where we would want to be, somewhere relaxed and comfortable, yet quirky and unique. The original design idea for Will’s was a completely different look before we bought the building. Once we saw the brick inside, we knew that had to be the focus and it had to be shown. We kept the décor and furnishings simple using just wood and metal elements to accent the beautiful original brick walls. 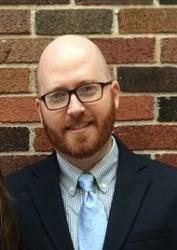 Nothing in the building is straight, and we think the imperfections make it perfect,” says William Byrd. For Byrd, the space’s charm and versatility are what set it apart from a typical bakeshop. “It is really quite amazing to see that you can come into the same space at two different times of the day and see and feel two very different energies. At 9 a.m. on a Saturday morning, you find a bustling, loud, laughter-filled space full of people and children having breakfast and getting ready for their busy days. If you come back at 2 p.m. on the same day, you will find students buried in books, or people reading or working on laptops, sipping a latte in the comfortable chairs at the far end of the shop with not a care in the world. 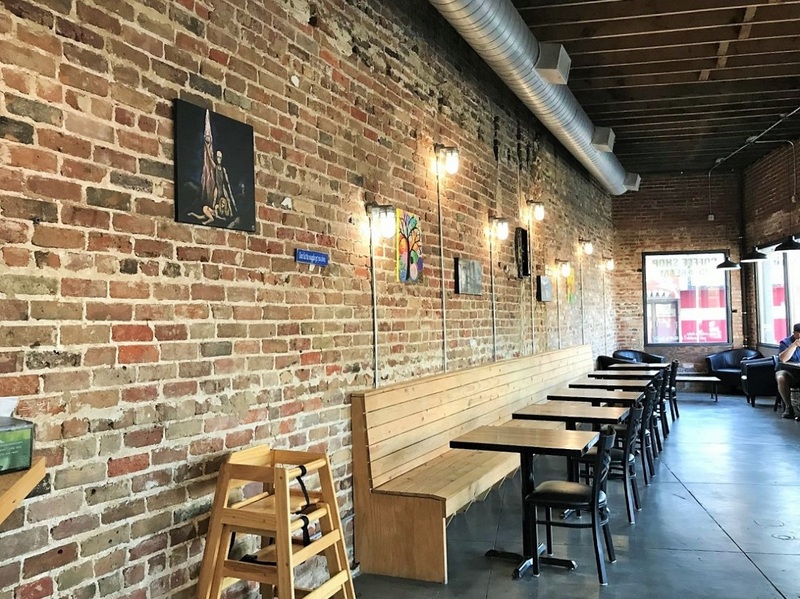 We are really happy to have been able to create a space that seems to work for most everyone,” says Byrd. Like I said, cinnamon rolls only scratch the surface of what’s offered at Will’s Cinnamon Shop. 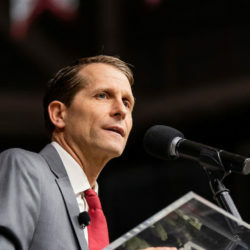 “We are always changing things up to keep it interesting. 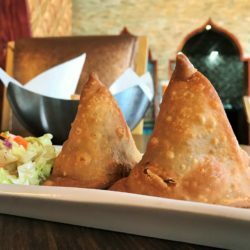 We do have some staple items that we carry all the time, including our snickerdoodle, chocolate chip, and oatmeal cookies, as well as brownies. We also make mini donut and lemon lavender muffins, gluten-free cinnamon streusel muffins. 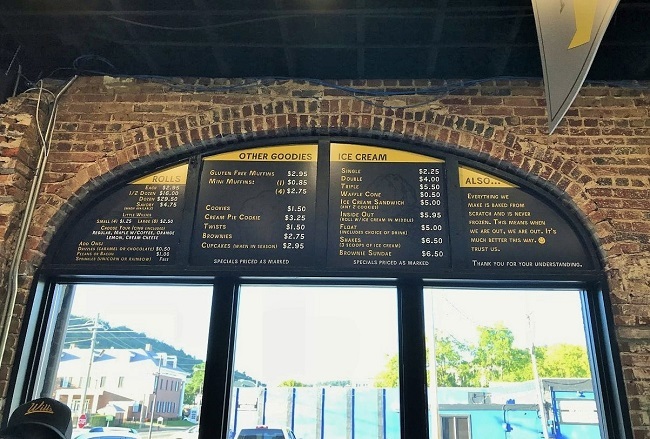 And we carry Loblolly Ice Cream with two signature Will’s flavors you can only get in our shop, which include Will’s Cinnamon Swirl and Will’s Cinnamon Swirl with Coffee,” says William Byrd. 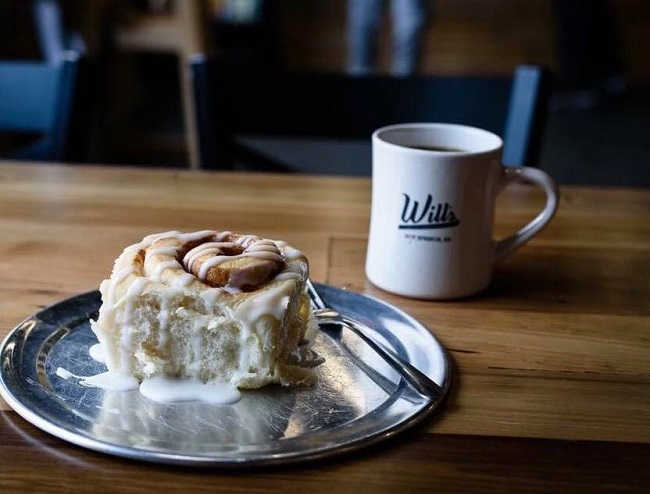 But the cinnamon rolls are the main draw at Will’s, and for good reason. They are outstanding. 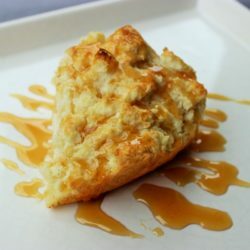 “Everything in our shop is made from scratch and baked daily. Nothing is frozen, except for the ice cream. Actually, that is the only freezer we have in the entire building. And yes, we have several kinds of icing. Icing, aside from the taste, is the reason I don’t like rolls from that ‘big chain.’ I hate cream cheese, and they only offer cream cheese icing. We wanted to give people the option of what they wanted on their rolls, either sugar-based, cream cheese-based, none, or sometimes fresh fruit or fruit toppings. We think cinnamon rolls are meant to be eaten warm and because of that, the icing is always added after heating it,” says Byrd. 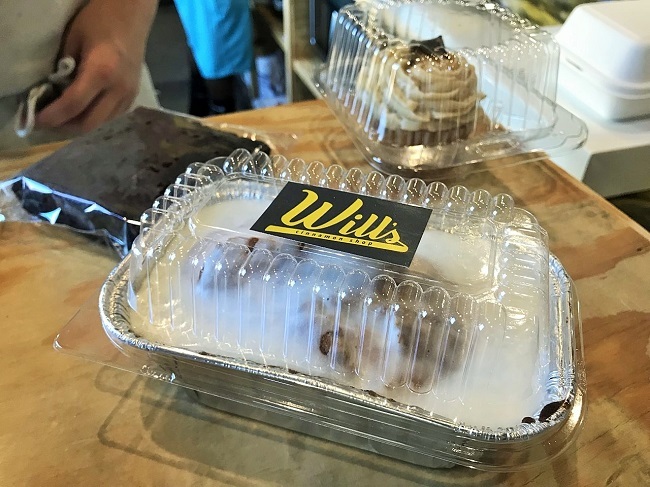 A fantastic product provides the foundation, but like any small business, establishing a loyal customer base in such a short period of time has proven to be a key ingredient in Will’s success. “Beyond the amazing love we feel from our customers daily, we have formed real friendships in this short time because of the shop. We have nicknames for our customers, inside jokes, high fives, and you will see Katie running from one side of the shop to the other squealing to hug someone or kiss a baby of people who simply walked in one day to get a cinnamon roll and walked out family,” says Byrd. And that seems pretty sweet to me. The shop keeps five standard icings on hand each day: regular sugar glaze, cream cheese, maple with coffee, lemon, and orange. Will’s also proudly serves coffee from Hot Springs’ own Red Light Roastery. Finally, keep an eye out for the Cookie and Cupcake of the Month.